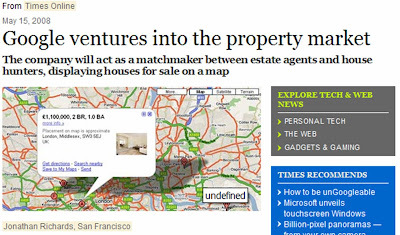 5 examples of developments in online mapping and maps in the news! One of the most rapidly changing areas online is in the field of mapping and virtual maps. All the big players are developing mapping and GPS capabilities and there has been a lot of news coverage recently about technological advances in online mapping and also how these developments can have social applications. Craigslist property / maps mashups have been popular and now Google are seeking to move into this space in the US by overlaying property listings onto Google Maps. This Google Property Maps mashup has the potential to create a significant new revenue stream for Google. Users will be able to use Google Property to look at houses for sale near a given postcode or neighbourhood through Google Maps. The results are listed according to price, number of bedrooms and bathrooms whilst being displayed against a Google Map background. Microsoft have recently updated LiveMaps and introduced a number of new features and improvements to their online maps service. 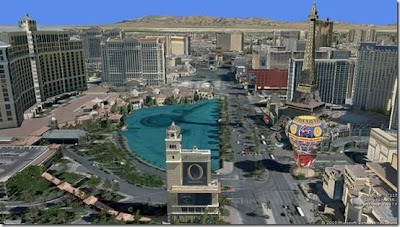 Amongst a range of new features, users of the service can now export their maps in GPS formats, see improved 3D city views for cities like Las Vegas (with 3D renderings of buildings and roads), and subscribe to RSS feeds for a particular area. Mapping and geo-information is turning into a significant battleground (particularly Microsoft v Google) and the product improvements Microsoft have announced are impressive. The most significant challenges for Microsoft's mapping service are not technical though. The biggest challenge is driving awareness of their Maps products - and then convincing users that they should switch from whatever they use now to embrace the Microsoft programs. 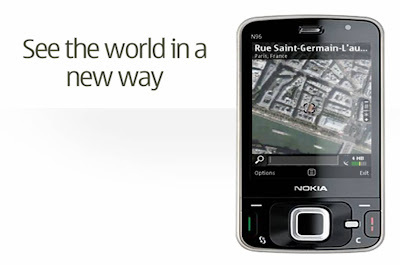 Nokia launched a GPS based maps service earlier this year. In recent days it has come out of Beta and is now a fully operational maps service ideally suited to mobile phones, particularly Nokia phones like the Nokia N95. Downloaded over 240,000 times since announced in February, Nokia Maps now has maps covering over 200 countries, with over 70 of them navigable. Maps can be downloaded over the air directly to selected devices or by using the Nokia Map Loader on a PC. 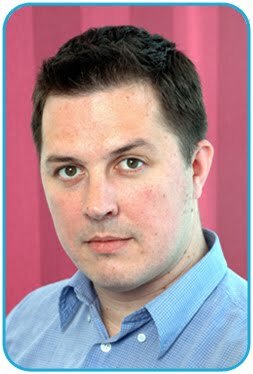 Nokia's developments show that progress in mapping development is not tied to the desktop internet. 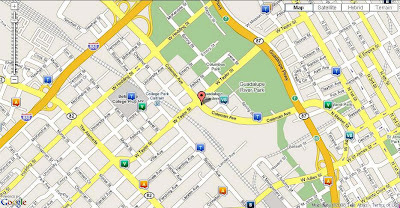 As mobile devices develop, mobile GPS and GPS enabled mobile applications are going to become more and more prominent. It is therefore not just Microsoft vs Google in this space, with a sizeable share of the world's handsets Nokia could become a more significant player than both of them! During the recent London Mayor election the Conservative Party held a press conference to show how they would introduce a public London crime map, where monthly crime statistics are overlaid onto a map service like Google Maps or Multimap. The information available from crime mapping allows local people to assess crime levels in their area and hold the police to account accordingly. This model has been followed in US cities like Chicago and has helped bring neighbourhoods together to address problem areas. At the request of the Chinese government, Google obtained new satellite images of Sichuan province (Earth KML) to help the Chinese government better focus their recovery efforts. Google also helped build community sites and launched both homepage promotions and a map-based information page. Interesting that a administration such as China is willing to turn to a private company like Google for help - though the Chinese government should take credit for both doing this and the speed with which they were able to make the request. Maps will continue to be a key development battleground. GPS is becoming more and more important in every day life (SatNav uptake, mobile maps etc) and success in this area is important for all the key players. Too early to say who will win (though Google have a big headstart), however there is no doubt that Maps applications will continue to evolve and iterate quickly. Example #4 is a screenshot of the Crime Reports system: http://www.crimereports.com. Thank you for posting the link - really interesting to be able to see the system working. At the same time people are starting to worry that "thousands could be instantly wiped off prices of homes near trouble spots [if crime maps are introduced to the uk]"